Diamond mining as an industry has existed since the mid 1800’s and throughout this time has been mostly monopolized by DeBeers, a diamond mining a trading company. DeBeers prefers to call their way of doing business single channel marketing and has kept the diamond supply firmly in their grasp which has helped them control the price of diamonds around the world. DeBeers was founded in 1888 by Cecil Rhodes (who the Rhodes scholarship at Oxford is named after) in Africa during the diamond rush that started in 1871 by renting out water pumps to miners then turning around and investing the profits from the pumps into buying up small claims from successful miners that had stakes on diamond rich areas. This led the company into buying larger plots of land and eventually into just buying diamonds from local miners. DeBeers eventually cornered and controlled the African diamond market and diamonds couldn't be bought or traded without the approval of DeBeers. In 1889 Rhodes set up a deal with the diamond cartel in London who agreed to a fixed price and quantity of diamonds which helped regulate price and quantity of diamonds flowing into Europe and out into the world. This agreement set the basis for all of DeBeers future business practices and ensured a worldwide hold on the international diamond supply. The company continued to innovate within the diamond market finding any place they could to sell diamonds, which led to their greatest innovation from their new president Nicky Oppenheimer: the diamond engagement/wedding ring. This changed how marriage and proposals were done in the Western world when it was introduced in 1948 and has become a cornerstone in marriage in the years since. Diamond wedding bands are such a strong symbol in Western culture that people are willing to invest HUGE sums of money into a ring since, according to DeBeers it is a symbol of everlasting love, and the bigger the diamond the more your partner must love you. This caused a huge spike in diamond demand further cementing DeBeers grasp on the diamond market they controlled since diamonds around the world needed to come through DeBeers so that they could be sold and distributed. If an independent company attempted to sell diamonds on their own to get around DeBeers you would be frozen out of the diamond market ensuring that you would never be able to buy rough or finished cut stones again thus killing your company. IT’s hard to give an accurate estimate of how many of the worlds diamonds still flow through DeBeers however it is thought to be around 60-70%. A number of civil wars raged in Sierra Leone in the mid-90’s that caused havoc on the population. These wars were primarily funded by the illicit diamonds being mined out of the mineral rich ground of the area by slave workers that were forced to conduct the mining operations that at the time were only illegal because of the slavery issues involved. DeBeers was making a fortune off of this practice since they were buying these diamonds for a small fraction of what they were being sold for in jewelry stores and none of those profits are going to revitalize the countries these diamonds are being extracted from. Global watch groups that specialized in conflict resources continued to investigate and published reports that showed only about 40% of diamonds coming out of Sierra Leone, even to this day are going through legal channels. The diamond dealers are supposed to only buy from licensed agents however most do not and countless illegal diamonds find their way into the market, in fact $1,000,000,000 worth of diamonds are smuggled every year. These diamonds are impossible to track once they find their way into the global supply getting mixed in with the other diamonds from around the world, and when DeBeers controlled the flow it was even harder since the reports could be skewed by DeBeers to show what they wanted. In the Fall of 2000 DeBeers realized that public backlash was starting to catch up to them and the company discontinued the practice of buying diamonds on the open market and started using more diamonds found within their own mines and using the Kimberley Process on the surface of all other trades. In the aftermath of the civil war the UN started conducting war tribunals under the Special Court for Sierra Leone to assign blame and provide justice for the atrocities committed. The tribunal only targeted a select number of high ranking officers to stand trial while granting immunity to the rank and file troops letting them free to live in the communities alongside the civilians they had terrorized. Eleven high profile generals including Sankoh were ordered to stand trial before the Special Court however most died while in custody or while attempting to elude justice. Finally in the early 2000’s when the conflict within Sierra Leone was concluded studies began to be conducted and the initial results were shocking. 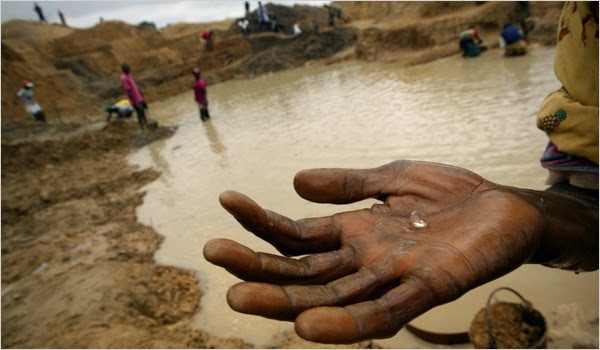 A joint study conducted by Global Witness and Partnership Africa Canada published a report in 2000 that showed diamonds were at the heart of the Sierra Leone conflict. 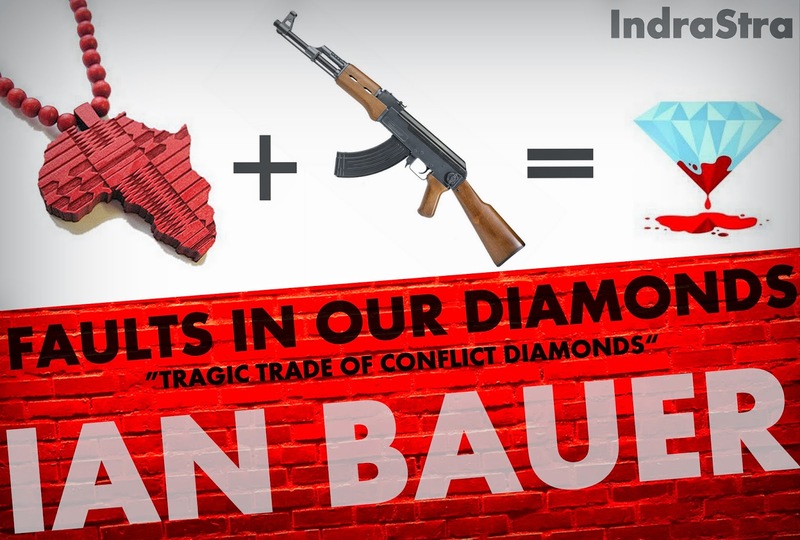 The report also directly accused DeBeers of having a large influence in the conflict due to their influence in the diamond industry and funneling any diamonds mined within Sierra Leone directly into the diamond market. DeBeers countered by claiming that since they had closed their offices in Sierra Leone in 1985 they had not bought any diamonds from mines in Sierra Leone and had the paperwork to prove this fact. The international watch groups countered with the fact that just because the diamonds didn't come from Sierra Leone on paper doesn't mean anything since the paperwork could be counterfeit. DeBeers continues to also claim that conflict diamonds never existed, and even if they did the company would never have bought them due to principle. Evidence that DeBeers had bought diamonds from Liberia, a country with no natural diamond deposits and known to funnel conflict diamonds into Europe, was found however during later proceedings after more investigations into DeBeers was conducted. In 2003 the diamond community gathered together to write new regulation on the diamond trade and the result of this gathering was the Kimberley Process. This idea was supposed to regulate the industry ending the legacy of human rights violations that had been a hallmark of the African diamond mining industry. 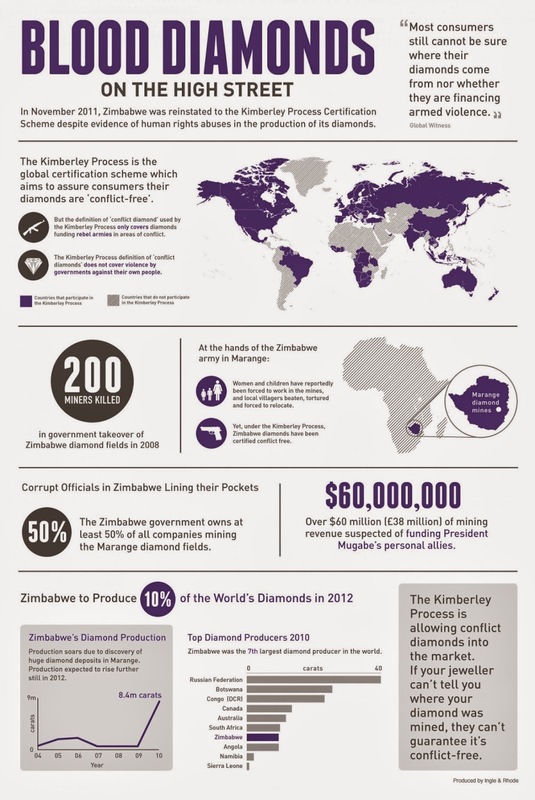 The Kimberley Process started out with good intentions coupled with what was thought to be solid legislation, unfortunately this was not the case and the certification process was found to be full of holes that were easily navigable by illegal diamond dealers. The certifying process was supposed to help buyers be aware of where a diamond originated from however the certificate only tracks a stone from the last country it was in. So this means that a conflict diamond from Sierra Leone could be shipped to Liberia or Mali before being shipped to Antwerp and its documentation would show that the diamond originated from either Liberia or Mali, two countries with no natural diamond deposits, thereby showing the diamond as conflict free. 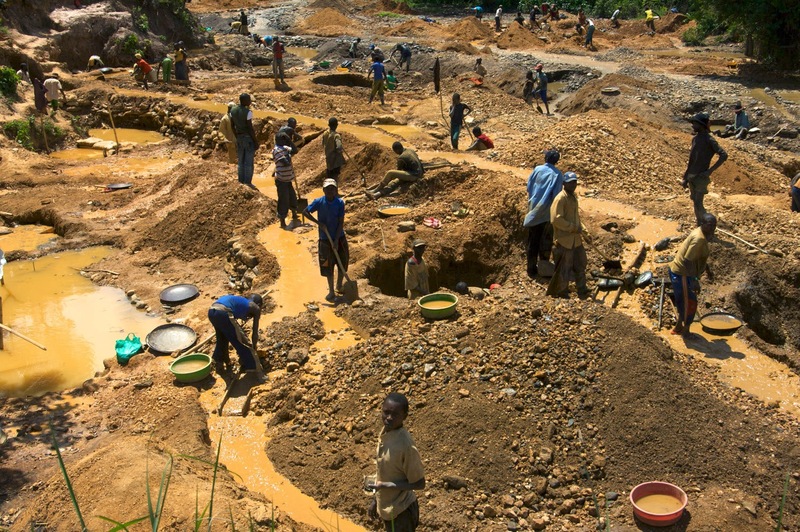 Unfortunately the diamond community doesn't seem to respond to any of the human rights violations going on in Africa until public outrage affects their bottom line, and typically those measures aren't designed to do any more than just stop the bad publicity.The illegal trade of conflict diamonds, among other materials such as timber and cocoa, continues with little to no international response. Human rights violations continue unchecked within the Ivory Coast, Liberia, Angola and the Congo continue every day with Angola and the Congo being tied for the worlds bloodiest conflicts currently. These four countries are still continuing to mine conflict diamonds channeling them into S. Africa where they are given false certification. In 2006 the movie Blood Diamond was produced and accurately followed the fall of Freetown, however as with most things it is just a footnote in the world communities mind with most people only vaguely remembering the name. Most jewelers when asked if they trade in conflict jewels are able to side step the question by giving a vague definition of the Kimberley process and what a conflict diamond is not having any paperwork to back up the claims they do make. People don’t seem to care what the history of a particular diamond is as long as it appeases their future wife and her friends, family, etc. A majority of people are able to tell you what the desert storm was about and why we fought the Iraq war however ask someone where Sierra Leone is and more than likely they will only get the continent right. The public awareness of what is happening in the African diamond mining industry needs to be elevated and until this happens the world will be kept in the dark about the crimes being committed there. Only about 20% of the diamonds in the world supply originate from conflict zones or are illicit however a better process of documentation and regulation from watch groups outside of the diamond community would help as well. The country of Sierra Leone is still recovering ten years later and the scars, both physical and mental, are still readily visible on the faces and bodies of the locals. Most people have at least one prosthetic limb as a result of the RUF and the terror they inflicted upon the people. We can do better, we need to do better so that this kind of suffering for something as inconsequential as a diamond stops permanently and no one is forced into slavery for a hardened piece of carbon. This is only a small piece of a bigger puzzle of minerals being exploited across the world for illicit gains. Diamonds, oil, gold and other precious stones are being mined out of Africa which is incredibly rich in all of these resources and more however no one gives a second thought about where these things are coming from. Ask to see your grandmothers’ wedding ring and more than likely it won’t have a diamond in it since it wasn't until recently that this became a trend, and for no other reason than you were told that is what needs to happen by a company that controls how much a shiny stone is worth. The chemistry of diamonds is now being altered and if a cut or coloring of a diamond is incorrect and damages the stone then it is just sold off as a “chocolate” diamond which is worth less than diamond grit used in labs. As a society we need to come together and educate each other about where are geological resources are coming from and the human cost of each. The Prosecutor against Foday Saybana Sankoh a.k.a. Popay, SCSL-03- -I (U.N. Special court for Sierra Leone 03 07, 2007). Buzenberg, B. (Director). (2001). With this ring [Motion Picture]. Kim, M. (Director). (2006). Blood Diamonds-The true story [Motion Picture]. Larson, K. (2013, 05 06). Retrieved 05 09, 2013, from Huffington Post: http://www.huffingtonpost.com/2013/05/06/central-african-republic-diamonds-rebels_n_3225410.html? Schnall, P. (Director). (2012). Diamonds of war-Africa's blood diamond [Motion Picture].